Employee talent mobility is TRC’s only business. Our comprehensive domestic, international and government relocation services empower clients to achieve their business objectives in the US and globally in more than 150 countries worldwide. As an independent, employee-owned relocation services company, we are free to focus exclusively on our clients’ best interests without outside interference from a parent household goods or real estate company. This independence also gives us a unique ability to customize programs, reporting, technology and terms to meet each client’s needs. 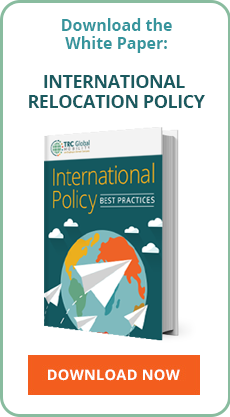 While we bring 30 years of experience to each client relationship, there is no ironclad “TRC way” to approach relocation challenges. As experienced talent mobility specialists, we work with each client to structure best-practice talent mobility programs or to meet exacting government relocation service requirements. TRC’s Corporate Relocation Services make us a virtual extension of your company. 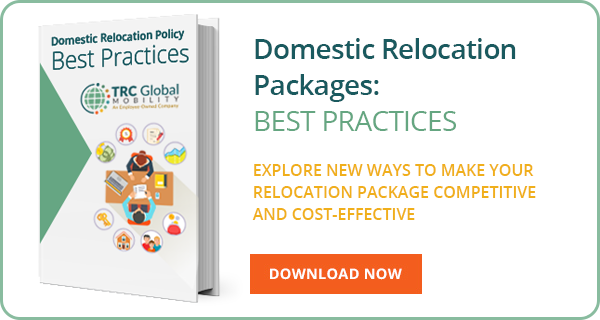 We can help you to plan and develop a best-practice relocation program, providing exactly the type and degree of assistance you need, up to and including complete program management. TRC Global Mobility brings 30 years of experience to every client partnership, and an independent structure that allows us to pursue the freshest ideas. Our savvy Relocation Counselors strategize with you to plan how talent mobility can help your company achieve its broader strategic objectives. TRC is experienced in working with short-term assignees, permanent transfers, localized expats, global nomads and extended business travelers, making us uniquely suited for today’s varied assignment models. Drawing from a complete range of expat relocation services and our formidable network of WorldSource™ global destination service partners, our dedicated Global Assignment Counselors can provide precisely the assistance you need. As an experienced government move manager, TRC works within exacting GSA service and pricing requirements to deliver outstanding government relocation services and assistance. Our success in corporate relocation allows us to offer fresh perspectives and cost-saving strategies to our government clients. Moving from your current home with a lifetime of possessions can feel overwhelming. TRC’s knowledgeable, sensitive professionals can assist with this transition by listing and marketing your current home, sorting through your belongings, and moving to your new home, letting you focus on the next chapter of your life sooner.